Trade Show participation can lead to a significant investment for businesses, both in terms of time and money. It is, therefore, in the best interest of your business know what you’re getting out of it, or else it will be a total loss. In fact, it is recommended for you to be well prepared on how exactly you will be able to gauge the success of the Trade Show you plan on attending before it even occurs. First, as mentioned about you need to think of registering your business for a Trade Show as an investment (in terms of marketing), and just like any other investment, you need to make a Return on Investment at the end of it. The first step in achieving this is by setting well-defined goals and objectives that you plan on accomplishing with your attendance. Some businesses sign up for Trade shows to increase their brand’s awareness, others look forward to increasing on their customer base by capturing and converting leads. It is by reviewing your set measurable goals and objectives that you can actually gauge and see whether the trade show was a success for your business. That being said, let’s jump into what metrics you should check, tips you could try and ideas you could apply to help you gauge your success. The major reason many businesses set themselves up for trade shows is to generate sales. Why? It’s simply because the first thing you learn about businesses in school is that they are made to make a profit. This profit will only come because of you selling your products or services. The main metrics you need to track here include: Number of orders set, the number of sales each of your sales rep has made, and total sales closed. For you to have quantifiable numbers to review and track, you will have to get your sales team together. Set a common target, let’s say you are aiming to generate $300K of sales within the period of time the trade show will last. You may want to break this down to $100K per day, and even further down to sales to make by each of your sales rep. If your main objective of signing up for the trade show was to increase your customer base by capturing potential leads then you might have to review these key metrics: Number of people who visited your booth, people who booked later appointments, and website visitors.  We highly recommended that you utilize a smart data collection platform such as 42 GameChanger which helps you capture and qualify leads in real time. Trust me, this will save you a lot of time later to measure your success metrics and compare it with your set objectives. you will need to have an efficient analytics tool to help you break down and classify data. Another good example is Hubspot that can also be directly integrated with your business’s CRM. Get access to the list of visitors expected to attend the Trade Show from the hosters. Do some research on what these visitors expect and want that your business can provide. Have your sales team reach out to them with only what they want and have them fill in their information. If you just signed up for the trade show to get your name out there and build brand awareness. You will need to later review these key metrics against your set objectives: Social media followers, booth visits and newsletter subscribers. You will need to track your business’ and hashtags mentions. You can, however, track such information with social media analytics tools that will help you process and analyze this data. Make sure you sign up for the right trade show. Ensure that you know your target audience, their location and if they are more likely to attend the trade show. Keep the social media fire burning across all your platforms, and also invest in paid Ads. Follow up on lead responses. Work doesn’t end at the trade show, just following up on prospective leads can provide you with metrics such as email clicks and open rates. By having your sales team send out follow-up emails, you will get an overview of how prospective leads are engaging with your business as a result of the trade show. Therefore determining whether you’re the trade show was a success or not. Trade Shows might be the investment you need to make your business succeed. That is why the above tips have been provided to help you gauge if your Trade Show was a success or not. They could also act as guidelines for upcoming trade shows, making sure you don’t walk in the dark.